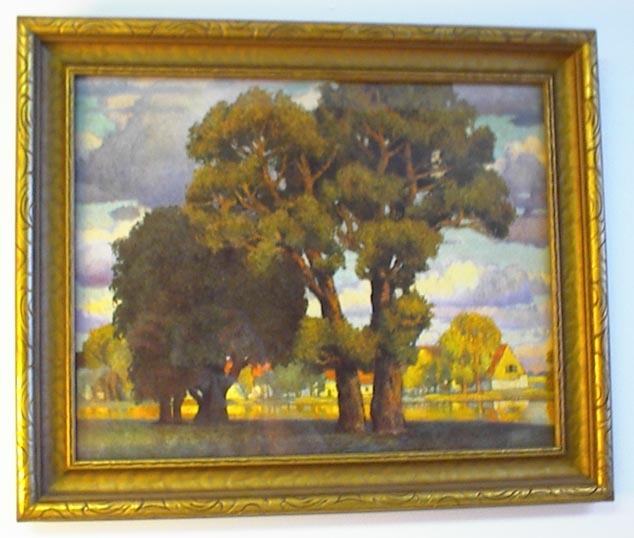 This print by an unknown artist features magnificent trees in the foreground with rich browns and shades of green. Behind the trees is a lovely pond which reflects some outbuildings, trees and a sky in shades of blue, purple and white clouds. The texture in this piece is outstanding. 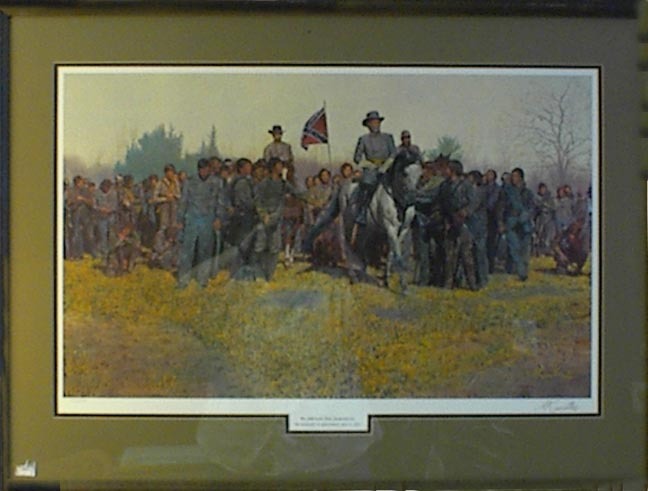 It is framed in a wood frame which features an etched design along the edge and is painted gold. Beautiful. This watercolor by T. S. Palm was created in 1971. 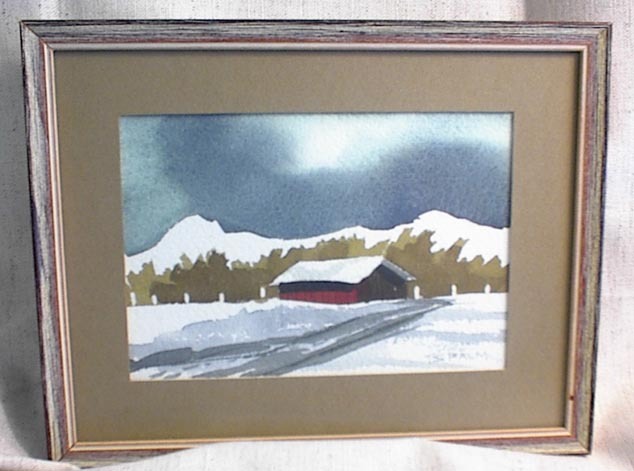 It features a snow-covered shed framed by snow-capped mountains and an ominous skyline. 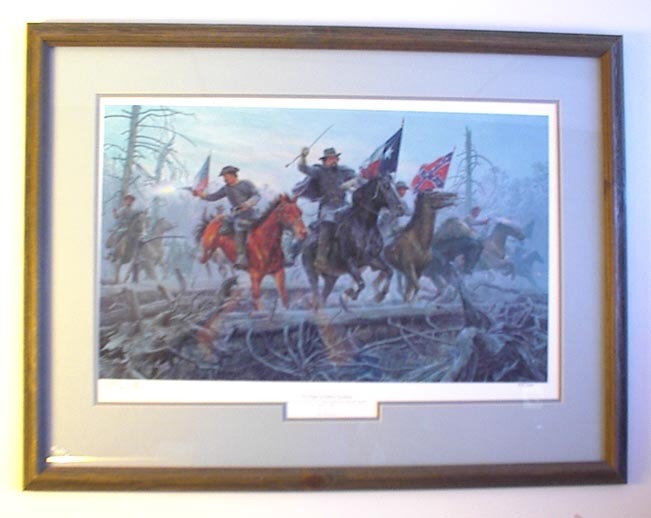 It is matted in brown and finished with an antiqued brown wooden frame.